Pointing out how quiet it is while he and Sougo have breakfast alone, Uncle Junichiro perks up when KuroWoz pops in with some news. Former contract holders who became Another Riders are all being attacked once again. Suddenly, Another Build appears. Sougo henshins to Build Armor to take him on and delivers a Vortec Time Break. But Another Build turns into Another Ex-Aid. KuroWoz decides to whisk Sougo away to safety. Another Ex-Aid dehenshins and the young man inside seems to know Sougo. 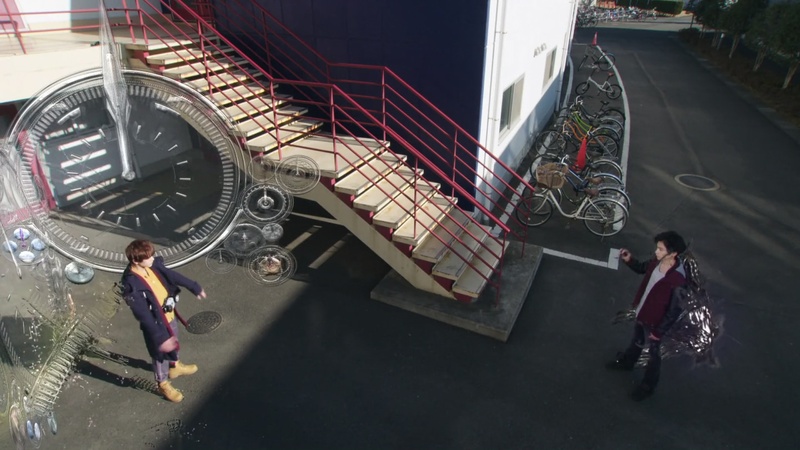 On the other side of town, Tsukuyomi tells Geiz about the Another Riders and he decides to go do something about it. 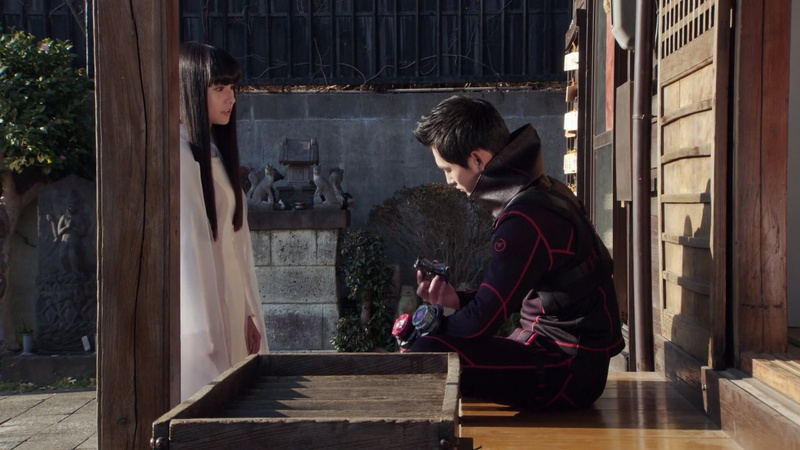 Tsukuyomi asks Geiz if she can count on him to defeat Zi-O for them. He says Yeah and leaves. Sougo has a dream where he sees a very bright star in the sky. But when he looks down at the beach, he sees Zi-O II and Geiz going head-to-head. When Sougo wakes up, KuroWoz says it must be another prophetic dream. But Sougo adds he felt strangely calm and mentions seeing the star in the sky. KuroWoz explains that it is Regulus, the King’s Star. And it was at its brightest on Oma Day, according to his book. Moving on to other topics, Sougo thinks maybe the Another Another Rider is sucking up residual power from the former contract holders. KuroWoz isn’t sure whether or not that’s even possible. The young Another man henshins to Another Ex-Aid and attacks Sakuma, formerly Another Faiz and Fourze, to collect the Faiz power. Geiz arrives and henshins. They battle. Sougo also arrives. Geiz asks Sougo for the Ex-Aid Watch and he uphenshins. Geiz delivers a Critical Time Burst at Another Ex-Aid, but he ends up getting tossed aside and forced to dehenshin. Sougo warns Geiz that their Rider Watches don’t work on this Another Another Rider. ShiroWoz appears and goes Kikai. He delivers a finisher at the Another Another Rider and it goes from Ex-Aid to Faiz. ShiroWoz demands to know who this person is. Geiz asks Sougo if he knows Hiryu, but he doesn’t. Geiz and ShiroWoz tell Tsukuyomi all about what happened. ShiroWoz says Geiz should use Geiz Revive to defeat the Hiryu. But it won’t work until Geiz agrees with the Revive power’s original intent of defeating Zi-O. Tsukuyomi asks Geiz what he is worried about, but he doesn’t say much. On the other side of town, Sougo and KuroWoz head to a magic cafe where Hayase is putting on a show. Sougo outright tells him he is in danger and will protect him as a bodyguard. KuroWoz explains Hayase has no memory of what happened between them before after Geiz defeated Another Wizard in 2012. That of course changed history. Back at the shop, Uncle Junichiro excitedly welcomes Tsukuyomi who wants to ask about Hiryu. Uncle Junichiro says the name doesn’t ring a bell, at least since Sougo came to live with him 10 years ago. Uncle Junichiro says Sougo lived with his parents, but are gone now. He tells her the story. At the magic cafe, KuroWoz asks Sougo why he seems to be having a good time. 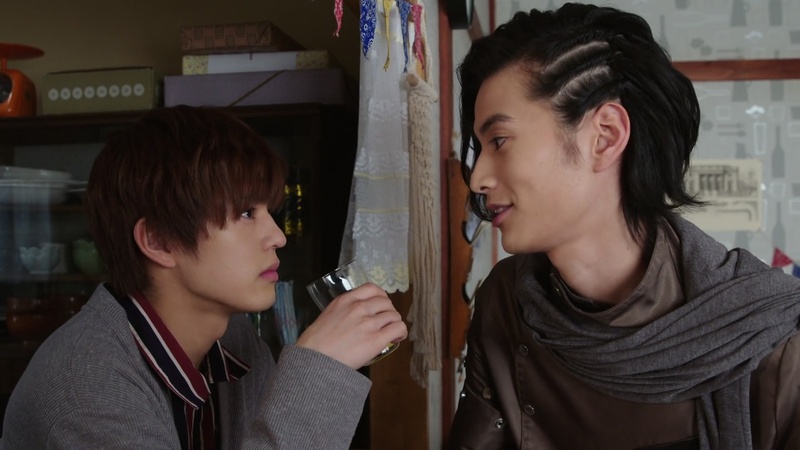 Sougo, watching Hayase this entire time, says this is what it must have felt like for Geiz and Tsukuyomi who also kept watch over him before too. Sougo says he feels bad about being excited to see Geiz whenever the Another Rider appears. 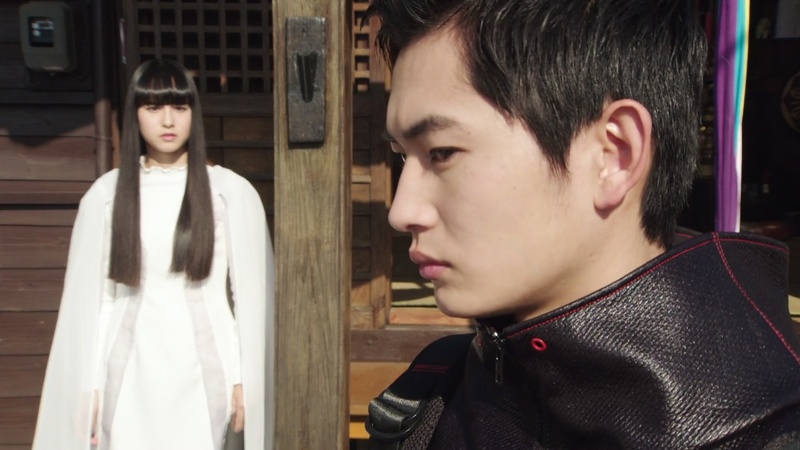 Tsukuyomi heads back to the temple stay and tells Geiz about Sougo losing his parents in a horrific bus accident 10 years ago. She continues researching about the accident from April 24, 2009. Sougo was one of only two survivors. The other being Kakogawa Hiryu! 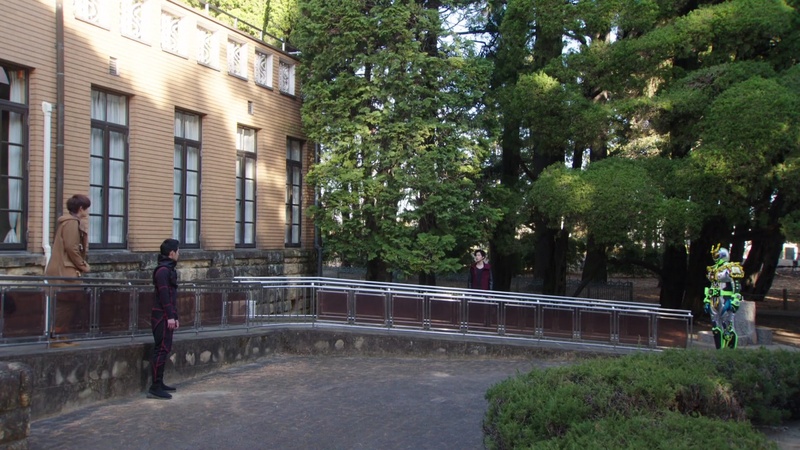 Hayase tries to leave the magic cafe without letting Sougo know, but Sougo sees and he has to chase after him. Hiryu manages to find Hayase first and he tries to take his residual Wizard power. But Sougo arrives just in time and tells Hayase to run for it. Sougo demands to know why Hiryu is attacking these people. Hiryu says he’s just collecting their power so he can have enough to defeat Sougo. Sougo asks why and Hiryu realizes that of course Sougo wouldn’t know. “You don’t understand!” Hiryu says. But Sougo henshins. Hiryu also henshins and they battle just as Geiz arrives. He and ShiroWoz henshin as well. Geiz knocks Sougo out of the way so he and ShiroWoz can take on Hiryu themselves. 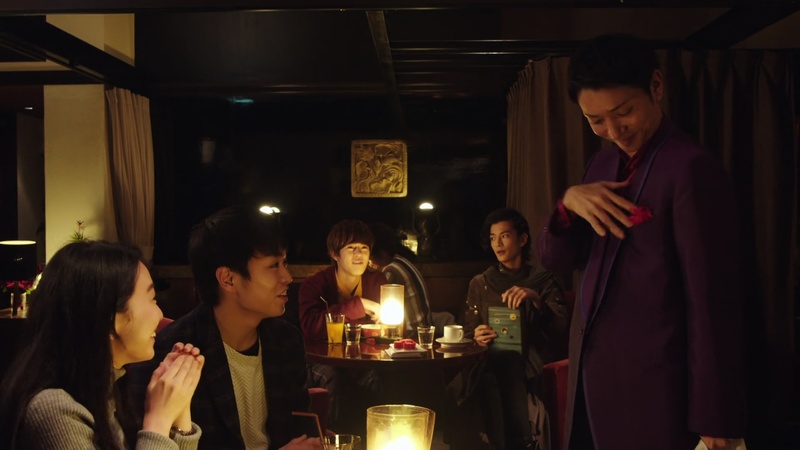 ShiroWoz goes Quiz just as Hiryu knocks Geiz to the wall. ShiroWoz asks the wrong question and Hiryu uses Ghost power to just slap him around. 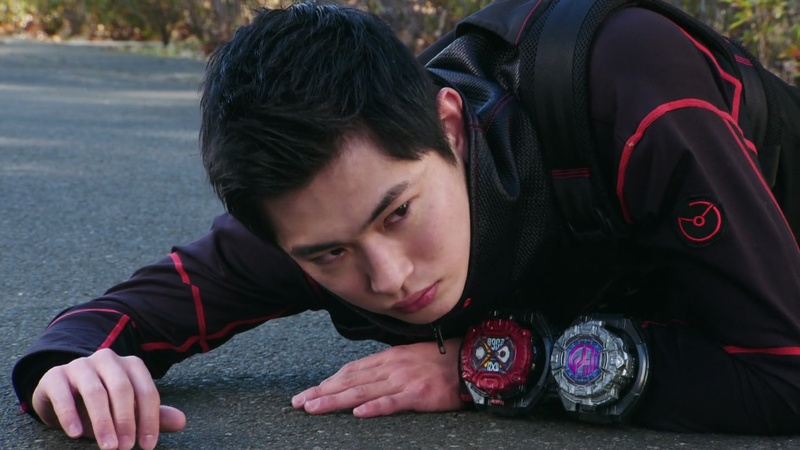 Geiz tries to activate the Revive Watch, but it nothing happens. 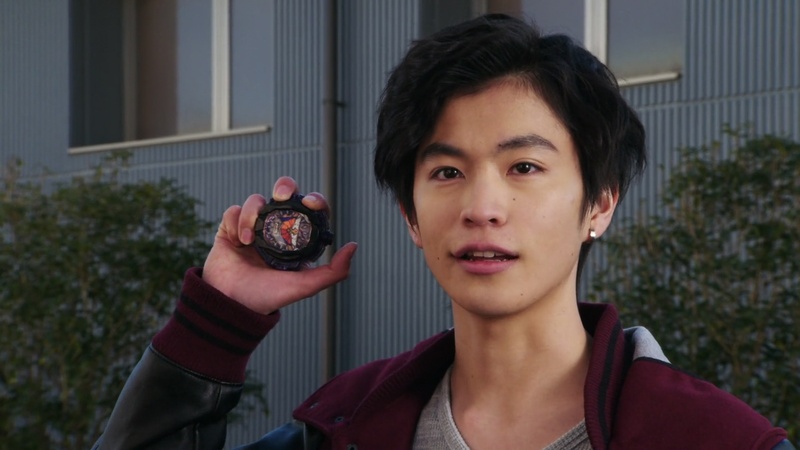 Hiryu holds both Geiz and ShiroWoz and pulls out a watch to henshin into Another Zi-O. 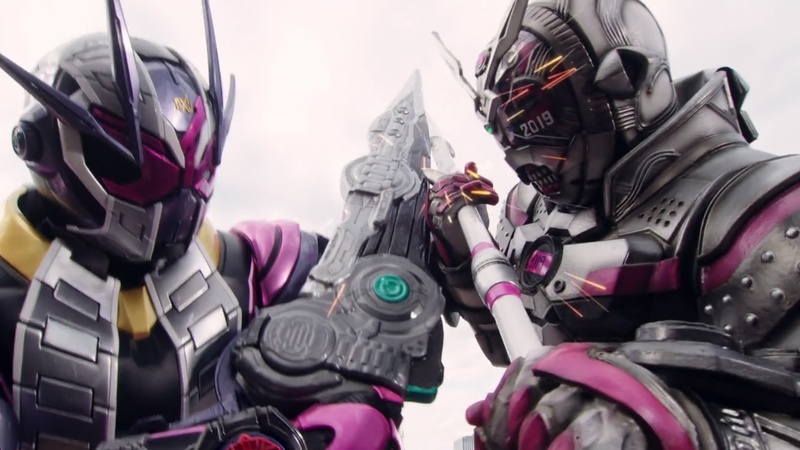 With one slash, Hiryu forces Geiz and ShiroWoz to dehenshin. Heure is shocked to see Another Zi-O so he hurries back and asks Schwartz why he has done this. Schwartz says the power to control all other Another Riders’ powers is the King of the reverse Riders. Interesting developments this episode. The most important I think is the little bit of backstory again with Sougo’s parents. 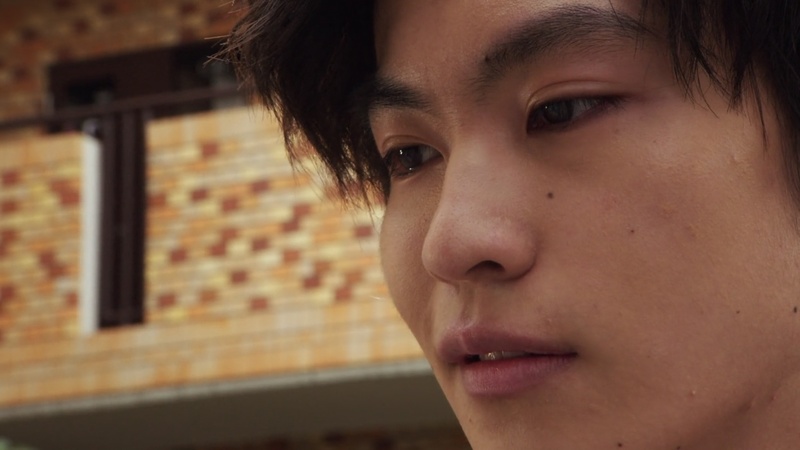 I really hope that Sougo’s experiences related to his parents and the bus crash serve more purpose for the season and Sougo’s character than just being a reason to introduce Hiryu and Another Zi-O (and Geiz Revive). There’s just so much they can do with the fact that Sougo was one of the few survivors of an accident where he lost his parents. Connecting that with his being lonely while growing up, that’s can open the door for some great depth in his character. Especially as we apparently head closer to Oma Day. It’s nice to see Geiz very reluctant about just defeating the guy he’s come to consider as a friend and comrade. And it would appear that Tsukuyomi has noticed Geiz’s hesitation and understands why he would be feeling unsure about battling Sougo. Of course, the shoe was on the other foot before when meeting Sougo. So now that she’s playing this overly cautious and all-business personality, seeing Geiz almost as the opposite, is a nice switch. I’m hoping we get a good explanation for Hiryu next episode. Or even better if he sticks around past next week. Overall, a solid episode that continues to move the story along. 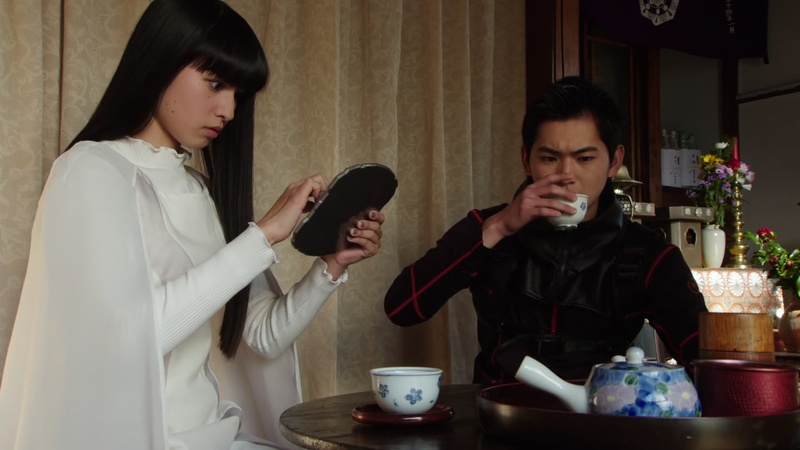 I do find it interesting how Tsukuyomi and Geiz have exceptionally switched roles. Jarring but fascinating. And I wonder if the reason Sougo and Hiryu surviving the hus accident explains their powers. All in all, A really enjoyable episode. Yeah, I like getting more dramatic story hopefully.